You are here: Home / Production Updates / Standing Sun Partners With Film Camp 2018! Standing Sun Productions is pleased to announce that we are once again partnering with the Rocky Mountain Christian Filmmakers Camp to produce a new short film this summer! For the past ten years we have been hosting camps to give aspiring Christian filmmakers and actors hands-on training here at the Rocky Mountain Christian Filmmakers Camp. We also offer online training you can do at your own pace and on your own schedule. As we begin our 11th year, we are committed to continue training up the next generation of Christian filmmakers who are focused on using the visual media for God’s glory. We look forward to our second decade as we continue camps and online training in 2018! In the past, we’ve partnered with the Rocky Mountain Christian Filmmakers & Actors Camp to produce our feature film In His Steps and its short film follow-up Felicia’s Pledge, and we’re excited to be joining up once again this summer! 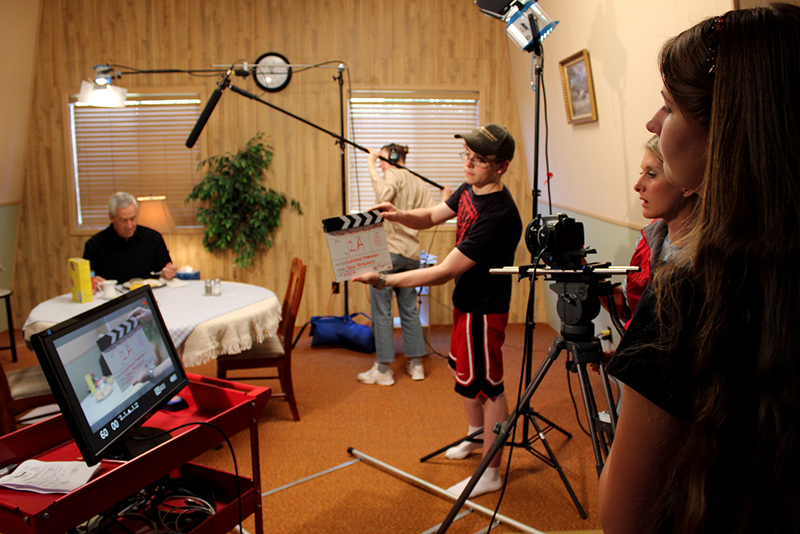 If you’ve ever wanted to learn how to be a filmmaker, then you can’t beat the hands-on experience of making a short film at the Rocky Mountain Christian Filmmakers Camp! And as an actor attending the Actors Camp, you not only get one-on-one access to the wisdom of the accomplished Rich Swingle, you also get a guaranteed featured role in the short film! This year’s camp will be held June 3 – 8, 2018 at Ministry Haven in Norwood, Colorado! Space is very limited, so you’ll need to sign up quick if you don’t want to miss out on this opportunity. Register for either camp today at UpcomingCamps.ChristianFilmmakersCamp.com!